Is the summer passing at super speeds for anyone else? I still can't get over the fact that we're well into August, and kids are already heading back to school. I have to admit, autumn is my favorite season. But as much as I love the fall, and all the fashion, I am just not ready for it. I'll be hanging onto my sundresses and bathing suits for as long as I can, and thankful that I still have a couple more trips to the lake, and a trip to the Cape before summer ends. Since it is mid august, I thought it would be a good time to do an Instagram roundup since not all of my #OOTD make it to the blog. Make sure to follow along @thomasrachael. This past Sunday, we spent the day in Boston walking around and doing a little shopping. Newbury Street was closed to traffic, so it was the perfect day for strolling the streets and people watching. I also wanted to check out the Daniel Wellington Pop Up Shop located at 211 Newbury Street. I love their classic timepieces, and am excited to be collaborating with the brand. If you're in the area, make sure to check it out. You can also get 15% off your online order with the code: THOMASRACHAEL. If you follow me on Snapchat (Rach480) or Insta Stories, you may have seen that I had my very first blow out from Drybar last week, and am now obsessed. I usually have to style my hair every day, but my blow out lasted three days, even surviving my intense workouts. My stylist gave me great advise for both styling my hair and helping it last, and I will definitely be going back! Love, love, love these flats. I had been hearing a lot of great things about Forever 21 active wear, and finally decided to try it out myself. I especially love their selection of sports bras, and you really can't beat the prices. I was impressed with the fit, and so far the durability has been good. 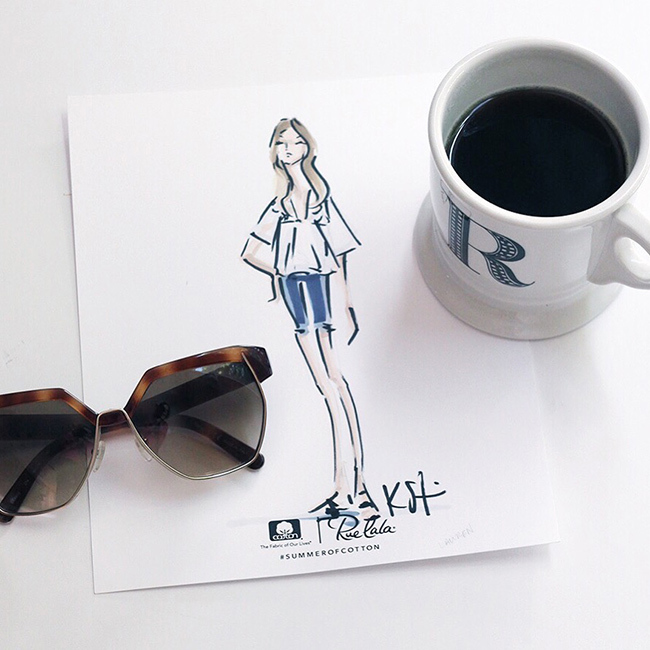 In love with this sketch that I had done at the Rue La La and Cotton On event earlier this summer. I think this may be my favorite outfit yet from the summer. There is something about an all white look that is so crisp and put together. 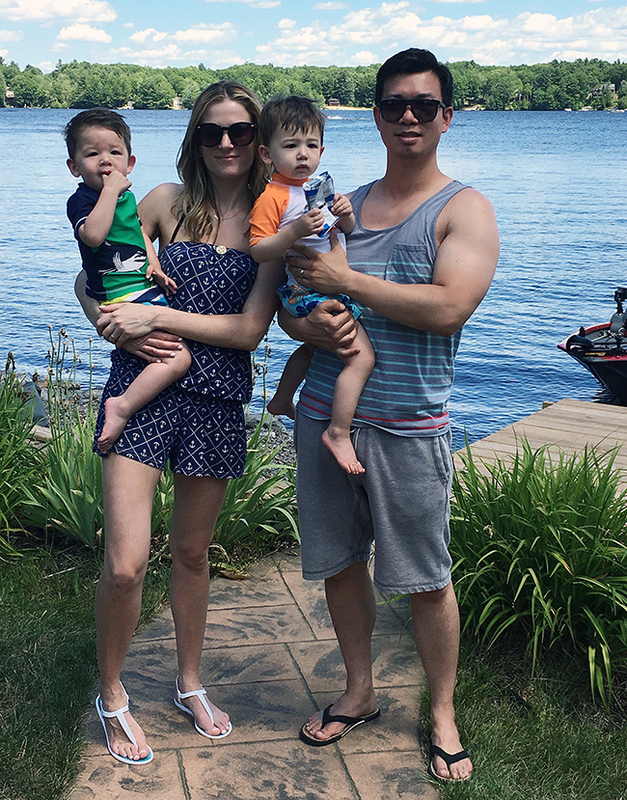 A little family photo from the lake on the twins 2nd Birthday. I still can't get over the fact that they are two! I finally found the perfect pair of open toe booties! These will be great for transitioning into fall, and I'm sure you'll be seeing them a lot on the blog in the next few months. Sorry. I wish everyone a great hump day, and rest of the week! Again, make sure to follow along on Instagram here. Your boys are so cute!!!!! I need to go to a dry bar! Some looks I've seen, I will visit the other. Great post! gorgeous looks! love that rose photo as well :D beautiful! Yes, the Summer is FLYING by!! Love all of your looks! 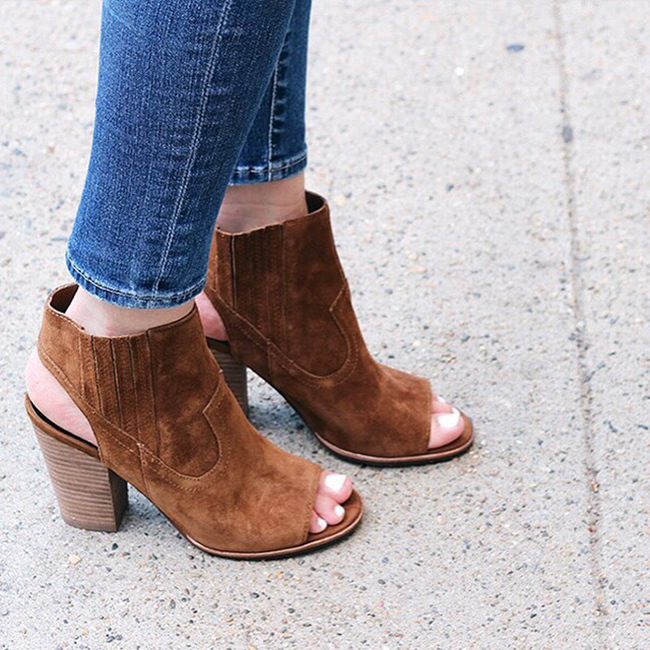 Those Dolce Vita booties are the cutest! So many fun things here and of course adorable outfits. 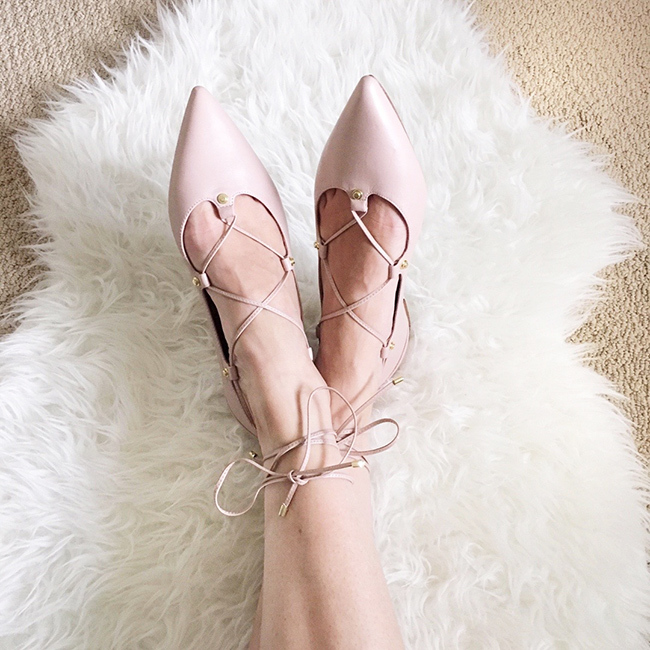 Those pink lace up flats!! So many heart eye emojis :) Following along on IG now too! I have strappy shoes just like that! We're also obsessed with an an all white look and yours is just so stylish and gorgeous! You have a great eye for fashion because all of your looks are on point! Rachael, everything about your style is perfect ! Love it all ! By the way your little boys are adorable ! love that off the shoulder dress - you are rocking it! You always do a great job with these Instagram posts - I have to start these soon myself. I have been posting lots of Instagram pictures lately. The all white outfit is my favorite too, the off-shoulder light blue striped dress being a very close second. Happy 2nd birthday to your beautiful boys Rachael! So many good snaps! You've had some seriously good looks lately. Great looks! It s awfull that Summer is almost over, I wished it would last for months to come. 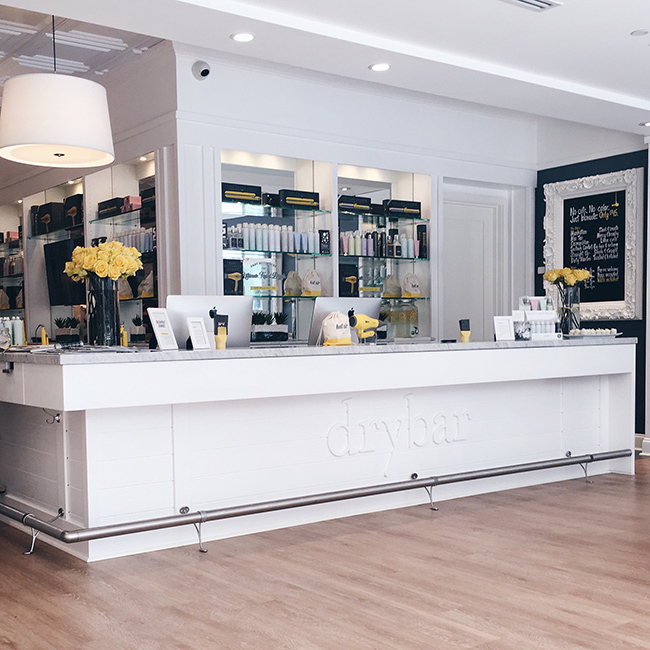 I haven't tried drybar yet, but I'm dying to! Love the roundup! 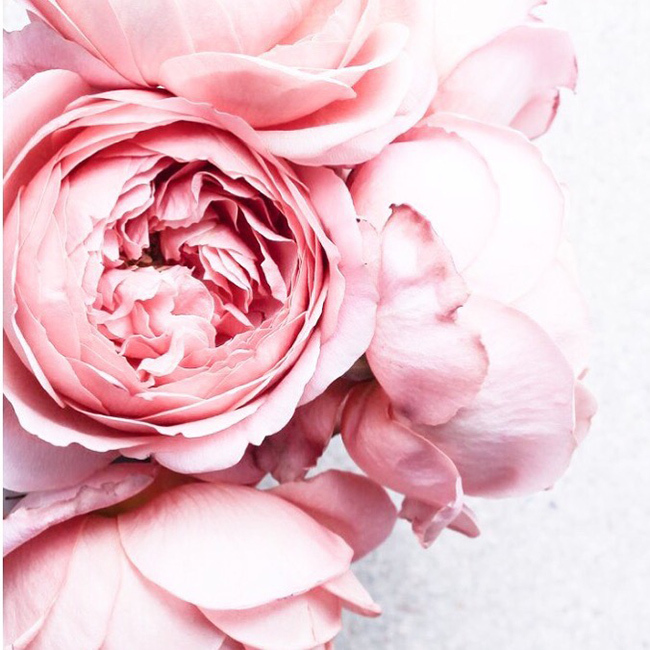 Loving your Insta as always, lady- so chic!